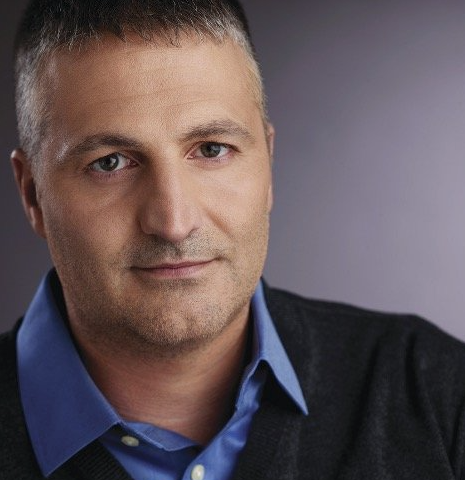 Scott Berinato is a senior editor at Harvard Business Review and the author of Good Charts: The HBR Guide to Making Smarter, More Persuasive Data Visualizations, from Harvard Business Review Press. For a long time “dataviz” was left to specialists–data scientists and professional designers. No longer. A new generation of tools and massive amounts of available data make it easy for anyone to create visualizations that communicate ideas far more effectively than generic spreadsheet charts ever could. 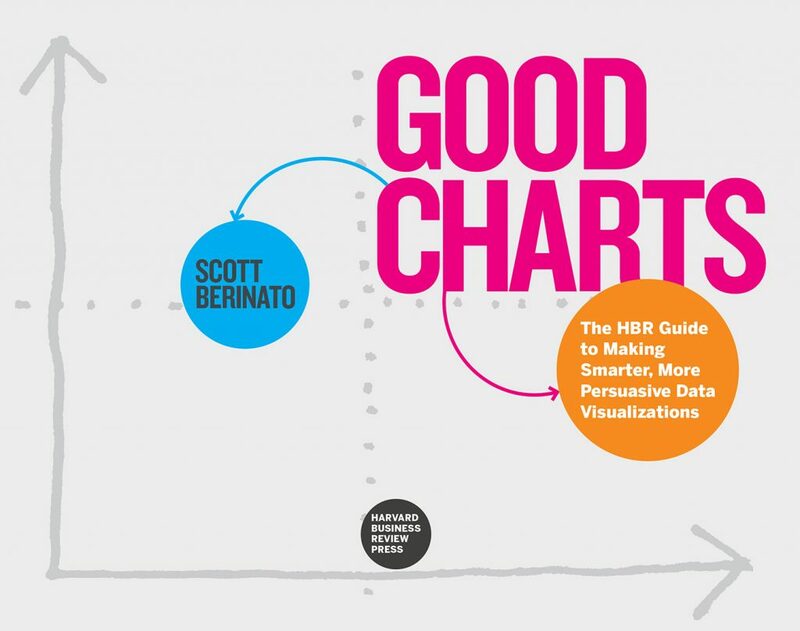 In “Good Charts,” Scott Berinato provides an essential guide to how visualization works and how to use this new language to impress and persuade. Dataviz today is where spreadsheets and word processors were in the early 1980s–on the cusp of changing how we work. Berinato lays out a system for thinking visually and building better charts through a process of talking, sketching, and prototyping. You make the point that “visual communication is a must-have skill for all managers” – is this why you wrote the book? It’s one of the reasons I wrote the book. I saw how my use of visuals had helped me and then started gathering stories of others who had seen their careers take off when they invested in learning some data visualization skills. These are people who recognize that their organizations are awash in data–the volume and velocity of it is such that visualization is becoming the only way to make sense of it all. So I came to believe that it’s a career advantage to be able to make good charts, but also a competitive advantage for companies that invest in doing it well. I also think that in the loud, crowded world of mobile, social, and really constant communication, effective viz has become a way to cut through the noise and make an impression. How does data-visualization work? Where do we get started? I love this question, and it comes up often, because often people start with rules of visual grammar, ie use a bar chart in this case and a scatter plot in that case. Use these colors. Never do this. Always do that. I think that’s counterproductive and frankly sometimes paralyzing. Grammar’s important, to a point, but I advocate for starting by setting your context. Spend time establishing what you want to say, to whom, and in what setting. It sounds simple but it’s striking how often we skip right to creating charts for a presentation without really putting in effort into honing the idea we want people to come away with. That means you end up with charts that visualize spreadsheet cells instead of ideas. Often the idea is in there, but it doesn’t shine through. Even before that, I think it’s helpful to understand how we humans look at and perceive visual information, and then to understand that visual communication isn’t just dataviz, it’s several kinds of communication that each involve different skills. For example, a conceptual diagram about your company’s strategy may have no data in it at all, while a multi-terabyte big dataset may be set up to create charts in which you don’t yet know what you’ll see. Those are both types of visual communication and they require radically different skills and tools. That’s why, before we get to visual grammar, or even setting our context, we start the book with a brief history of dataviz, some science of how we see, and then a typology of the different kinds of visual communication and the skills and tools you need for them. Your book gives the reader a blueprint for data-visualization – can you tell us a bit about that? That’s the typology I mention above. All you have to do is answer two questions to understand which of the four types of visualization your working with. The questions are: Is my information statistical or conceptual? And am I declaring something or exploring something? The best way to understand the typology is to just look at it. 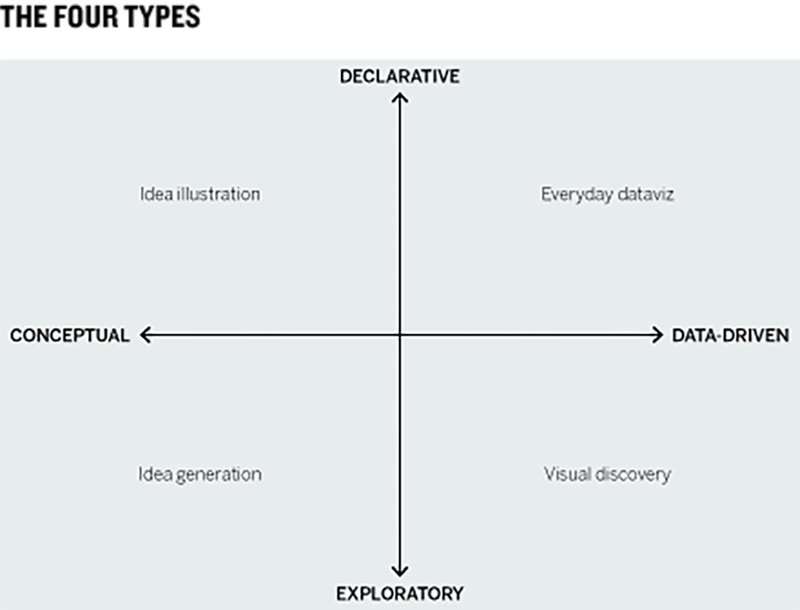 Each of these four types of visualization is unique and requires you use different skills and tools, all of which we talk about in the book, though we focus mostly on data visualization. So what makes a good chart? What’s a good process to use to arrive at one? A good chart is some combination of excellent contextual awareness and some good design execution. By contextual awareness we mean it represents what you’re trying to say clearly and simply; it’s presented in a way that’s accessible to the audience–whether that’s a room full of 1,000 people or a one on one with your boss; and it’s not misleading or erroneous. As for design execution, I argue people should stress less over this and that, in fact, if you get your context right, many of those design decisions take care of themselves. When you focus on what you’re trying to say, you design your visuals in a way that that’s clear. I like to say that When you see a good chart, it’s not good because it’s designed well, it’s designed well because it’s good. The process we advocate for doing this in the book is a talk-sketch-prototype process that influenced by design thinking. Can you give us an example or two of how a chart can influence decision-making? Here’s a simple one. I often show a set of bar charts to audiences that were actually presented by a consultant trying to help a client choose between four strategic scenarios. That’s the context. He’s standing in front of them in a board room trying to show them what will happen to revenues and margins in the four scenarios. The bar charts are clearly automatically generated in Excel. The labels are too small to read on a screen. The bars are multi colored. 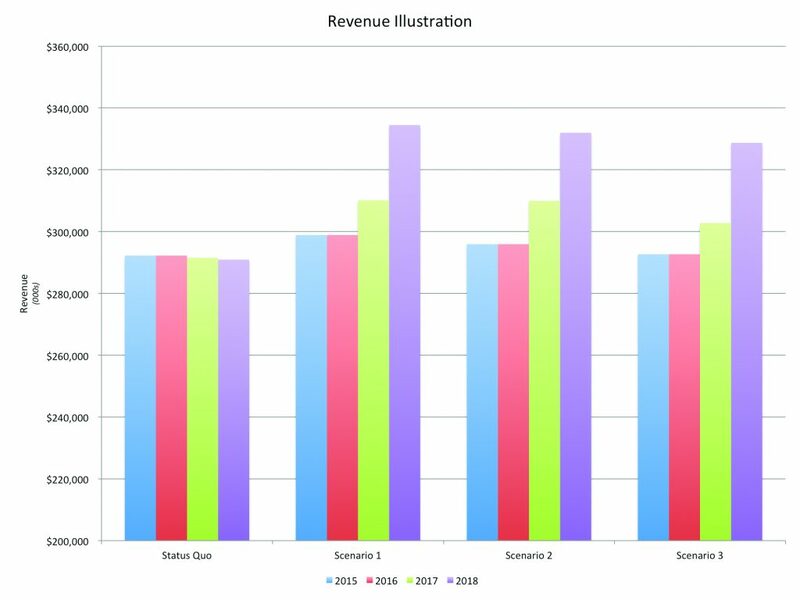 And, it turns out, the Y axes don’t match on the revenue and margin bar charts. It’s just not a very useful chart when you’re trying to help someone make a decision. They can’t use the charts to think through their options. So we revised them, and the revised version is just so much more usable by using clear labels and a type of chart that makes it very easy to compare revenues to margins and scenario to scenario. It’s night and day. So, instead of frustrating his audience, and probably having to explain to them what they’re looking at, now he’s actually doing what he’s supposed to be doing–helping them make a big decision. What should marketers be doing to improve their data-viz acumen? What should they not be doing? They should invest a little in learning the basics. Invest a little time–it doesn’t take all that much–every time they have to make some visualizations in setting their context using the talk-sketch-prototype method we put forth in the book. I’ve seen this process pay dividends in as little at 20-30 minutes. Sometimes it takes longer but it also builds on itself. The more you do it, the more you visualization skills will improve. 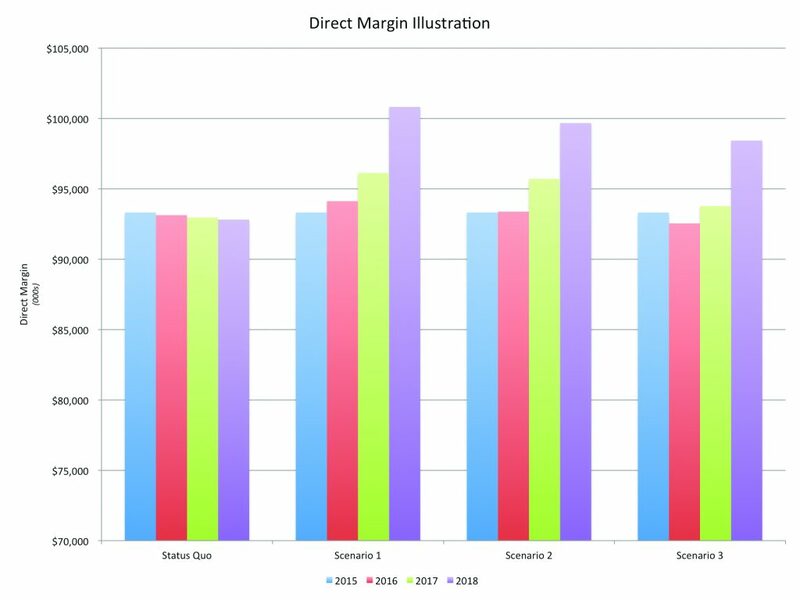 What are the dangers of “bad charts”? How do we teach citizens and consumers not to fall prey to deceptive data-viz? Most of the time, bad data visualizations are an accident or a product of time pressure and/or an unthinking approach. “Click-and-viz” in a spreadsheet program rarely gets you a good chart. But, increasingly, we’ve seen cases where visualization is being manipulated to create desired outcomes. Certainly i politics we’ve seen this, but also in business. Some high profile cases have demonstrated that people–aware of the power of a visualization to persuade–will use that power to bad ends. I believe that as business becomes more complicated and data more and more pervasive, this problem will only get worse. That’s why our basic datavisual literacy must continue to improve. We all need to be good, honest producers of charts, but we need to be good, smart consumers of charts, too.